In celebration of International Development Week, the ACT 4 Global Change Challenge is a competition for elementary schools from across the Atlantic region. Teachers and students are challenged to complete the most ACTivities for global change from February 1 to February 28. The school who completes the most ACTivities during this time will win a cash prize of $500 to put towards a TAKE ACTION project of their choice. 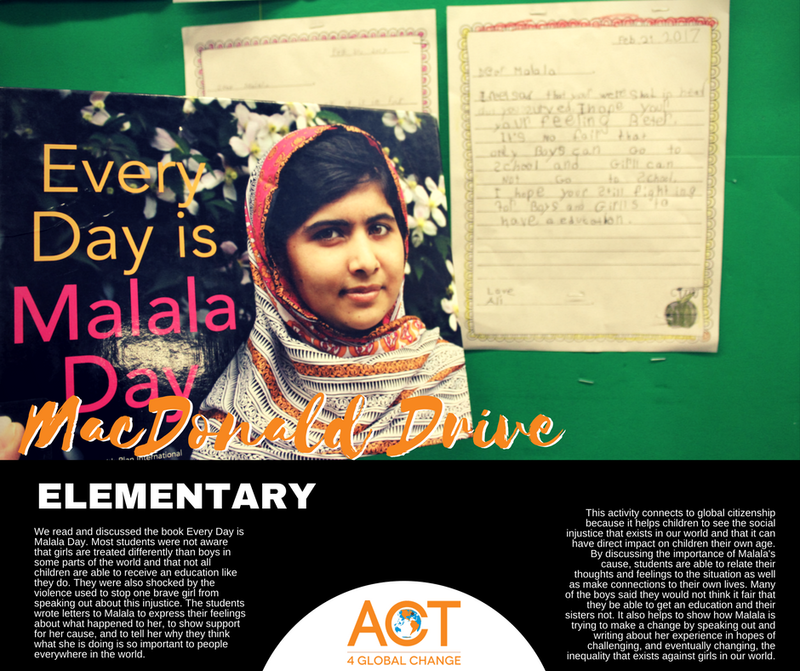 The ACT 4 Global Change Challenge is a way to encourage students to be ACTive global citizens AND a way for teachers to complement curriculum with activities to help meet learning outcomes.